Whilst a private charter on one of the many beautiful boats in Port Douglas out to the Great Barrier Reef can be the highlight of your holiday, there are a few free things to do in Port Douglas . 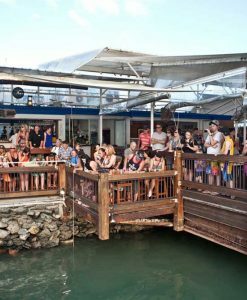 One of my favorite free things to do in Port Douglas is to go down to On the Inlet Seafood Restaurant and watch the groper feeding. The groper feeding happens every day at 5.00 pm or so. On the Inlet is a very popular seafood restaurant in Port Douglas, so to make sure you get a good position to watch the groper feeding, it is best to get down there at around 4.30pm. On the Inlet is set over the water and a few very large gropers live underneath the restaurant. Every day the staff take out a fish frame and dangle it on a rope over the water. Then “George” appears! It is quite a show! 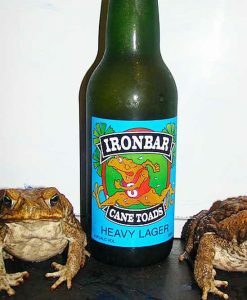 Of course you can also stay on for a drink or two after the groper feeding, but please remember if you wish to dine at this popular Port Douglas Seafood restaurant it is best to book in advance. Another of the favorite free things to do in Port Douglas is to picnic on the point at Rex Smeal Park and watch the boats come in. All the Port Douglas boats must enter through the channel into the Marina berths every day. 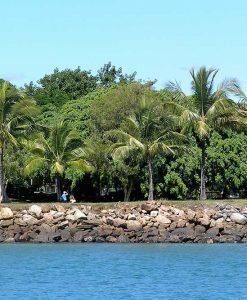 Rex Smeal Park is a lovely grassed area right next to the Port Douglas leeds where you can watch the boats come in. Fringed by coconut palms there is nothing better to do of an afternoon in Port Douglas! 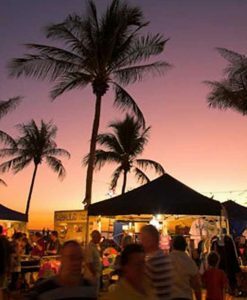 One of the best free things to do in Port Douglas, in our opinion. The views of the sugar wharf are very pretty, plus there is also the stunning backdrop of the coastal mountain range to enjoy. To enjoy watching the boats come in it is best to get to the park at around 3.30pm. Or if you are an early riser you could always grab a breakfast roll and watch the boats departing to the reef from Port Douglas for the day. Most of the Port Douglas boats leave for the reef at around 8.00am. A lovely thing to do for free in Port Douglas. Another free things to do in Port Douglas is to go for a walk up Flagstaff Hill. It is quite steep so best suited for reasonably fit people. The view from the top of Flagstaff Hill is amazing, you can see Four Mile Beach in all its glory, as well as the view off Island Point. There is also a bench and a lookout at the top of Flagstaff Hill. The views when walking back down from Flagstaff Hill encompass the Marina. You can do a slight detour along Island Point Road and Murphy Street which will take you back into the heart of Port Douglas. One of the best free things to do in Port Douglas is to enjoy an early morning walk along beautiful Four Mile beach. Make sure you take some water with you, its a long beach! Whilst bike hire is not free in Port Douglas, you can hire one for next to nothing and ride it along the beach. Just make sure it is a low tide. The sand on the beach is quite firm, so easy to ride a bike upon. watching the flying fox colony at Mudlo street. 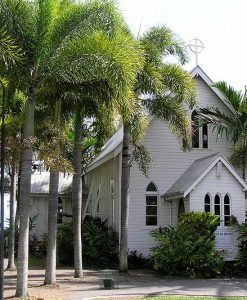 Seems like there is actually quite a lot of things to do for free in Port Douglas!